Do you have those times when you want to express an idea, yet you can’t? Well, that is the same as when a business plan takes time to be explained and understood because of its complexity. An income statement may be easily understood even with numerical data. However, it still needs words to explain its outcome or effect to the business. A concept statement provides a concrete solution to this problem. Any business plan cannot be easily comprehended without using this method. 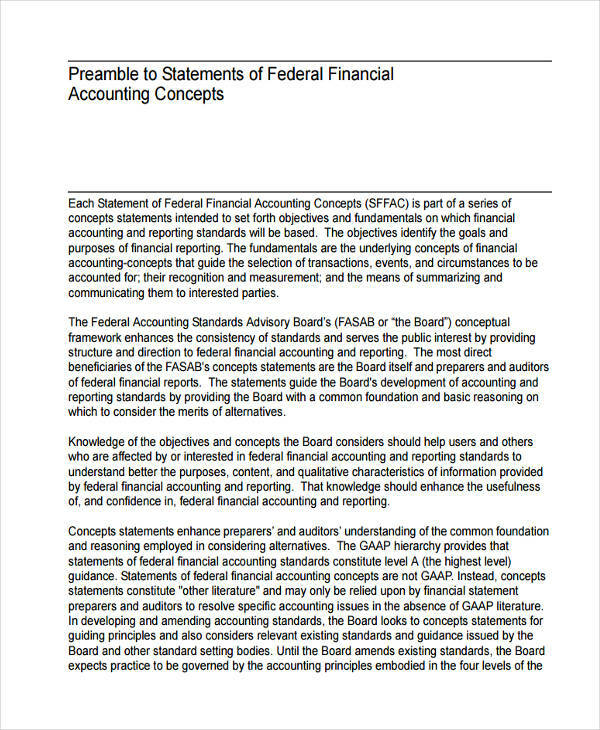 Just like a cash flow statement, you need to explain in business words or language how the company finances are going. 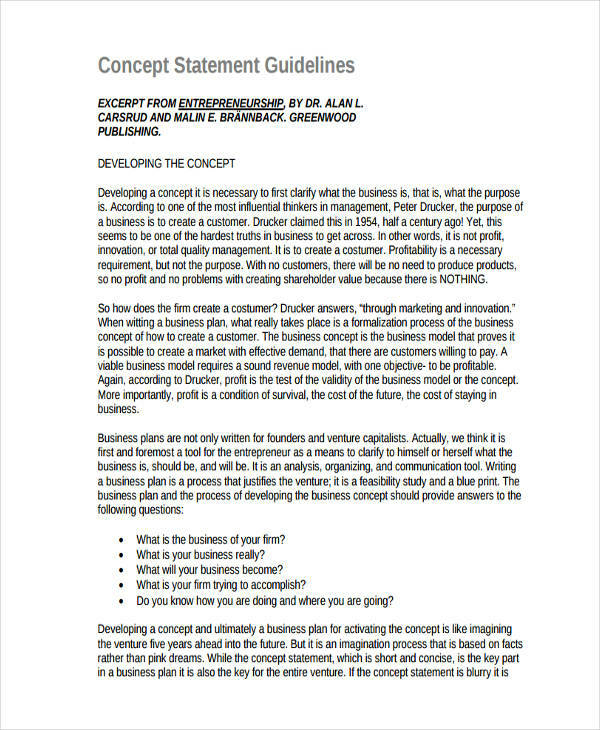 Let us then discuss what a concept statement is and how essential it is in business. Not everyone in the business world is familiar with the various marketing or financial statement terminologies. That is when a concept statement comes into play. It translates a business plan into something that can be easily understood by many. It provides a clear and official statement so that the statement objectives of the project can be understood. After all, it is not the company that gives life to the business but its investors and consumers. 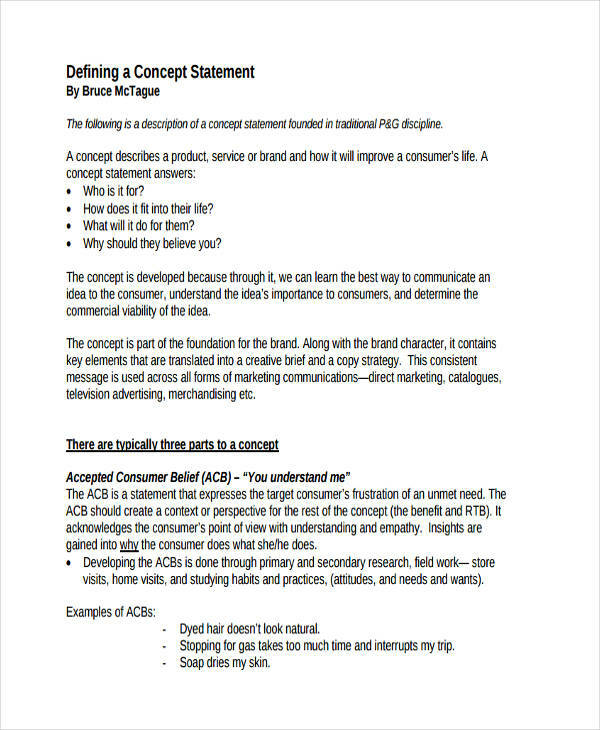 Writing a concept statement is the same way as writing a mission statement. You need to create a layout on how to present your ideas. 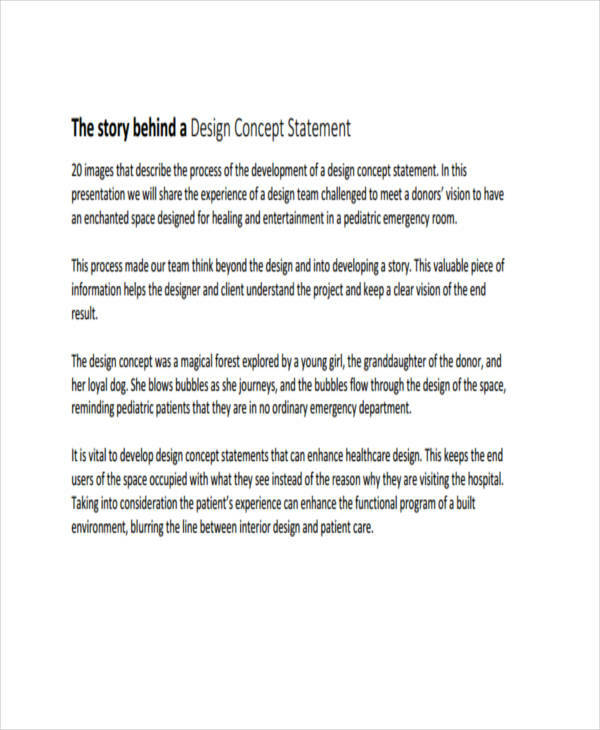 Here are the steps on how to write a design concept statement. 1. Provide a brief introduction. 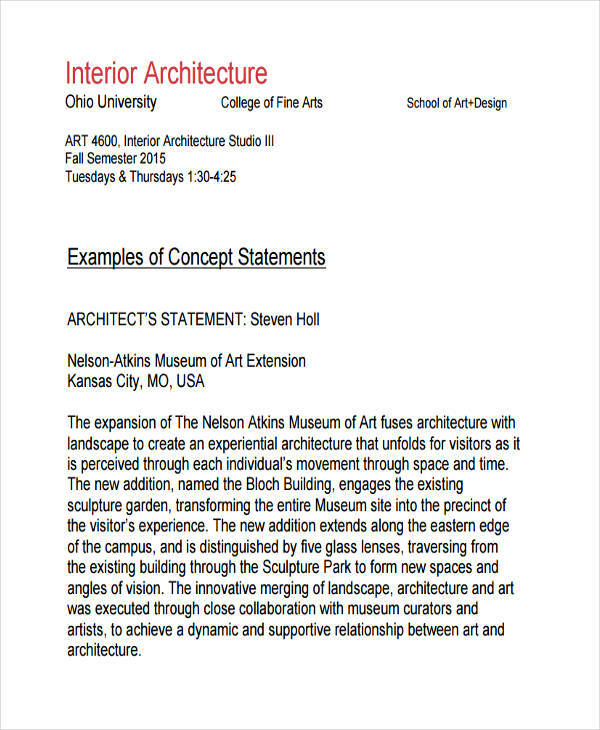 Write at least two to three sentences explaining the objective of your design. Make it brief and use simple language. 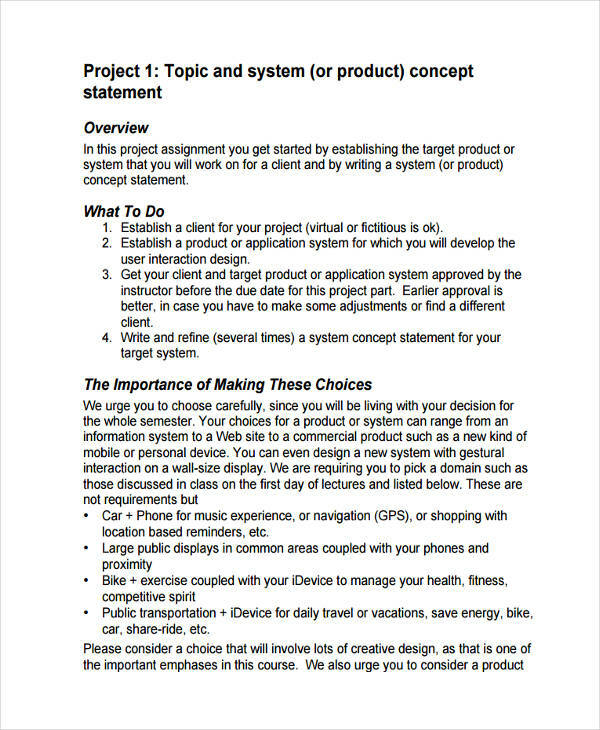 You may also see statement of purpose examples. Lay down the specific problems you need to address and how your company can help in achieving that goal. Once the problem is identified, state the unique ideas of your design and how it can create a big impact. When you are starting a business and you are looking to attract more clients to fund you or make an investment, you need to present your business plan in a way they can understand it. That is the main point of why statements are needed in every business. A business concept statement allows you to verbally express and lay out your ideas and plans in the most elementary way. It provides a concrete and firm grasp of what you want to accomplish and how investors can benefit from it. 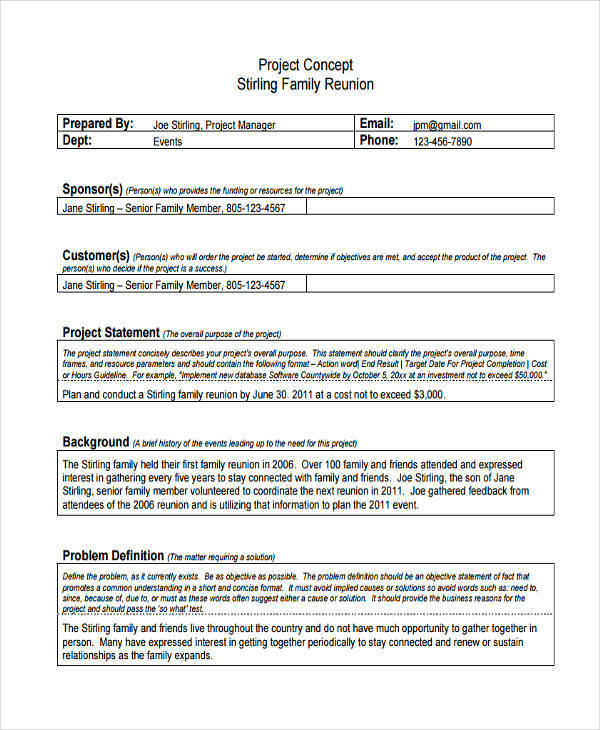 You may also like statement analysis examples. 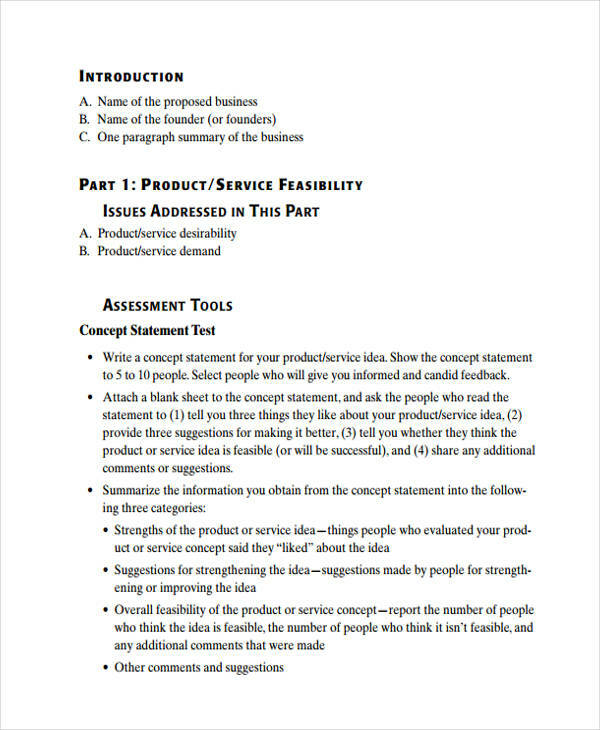 Just like writing any other statements formats like statement in pdf, statement in word, there are some guidelines you need to follow to come up with an effective concept statement. 1. Be firm with your statements. Investors often look at how they could trust a business statement and how they could gain from it. 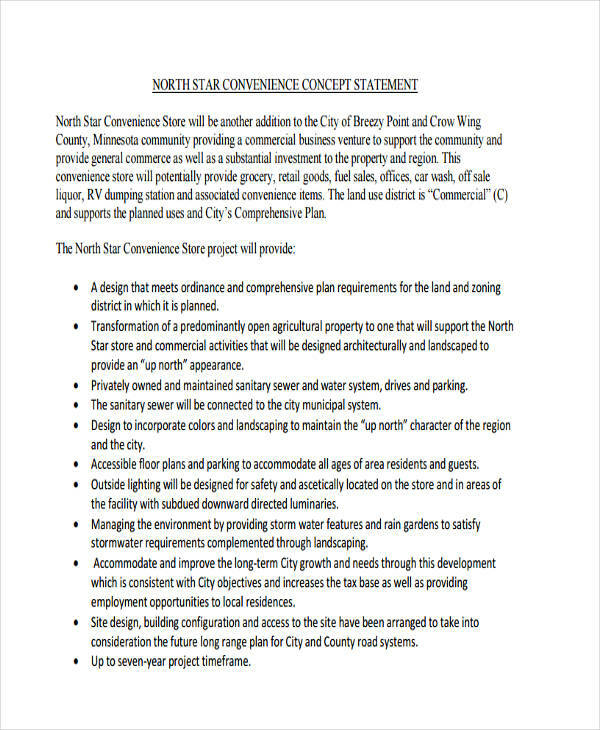 Your concept statement should provide firm statements on how you are planning your business to become. Providing general solutions to problems do not sell to investors. You need to be specific with your resolutions. Investors are always after what they can get out of their money. Make sure to offer concrete benefits investors are expecting from your business. You may also check out bank statement examples.